This weekend our calendar runneth over with journalism gatherings. In Chicago, the Local Online Independent News Publishers are meeting (follow along at #LION18). In Mount Hood, Oregon, the Journalism and Women Symposium Conference and Mentoring Project (CAMP) is happening (follow along at #JAWSCAMP18). In Phoenix, Arizona, NewsGeist is bringing together journalists and technologists (follow along at #newsgeist). In New Haven, Connecticut, press freedom advocates are gathering for the Access and Accountability Conference being held at Yale Law School. In Washington, DC, the Double Exposure film festival combines investigative journalism with documentary film (follow along at #DXIFF). 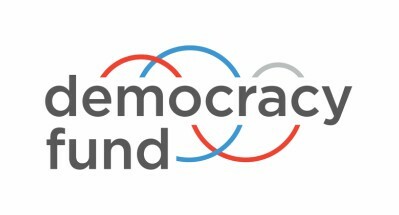 Democracy Fund is either sponsoring, funding, or attending these events and are grateful for the incredible people and work that are on display this weekend around the country. Did we miss an event? Tweet it and how to follow along from afar to @TheLocalNewsLab. A new study from the Center for Cooperative Media found that in looking at a pool of 64 local online newsrooms, one of the key determinants of success was if the newsroom was located in a wealthy community. While it’s possible the move towards reader revenue will exacerbate this problem as newsrooms cater more to people who can pay, this study found that problem persists even for newsrooms who have successfully built a sustainable news business on local advertising. At the Online News Association conference last month, Heather Bryant moderated a related session on “journalism’s poverty problem“. All of this builds on important research from James Hamilton and Fiona Morgan on how information inequality tracks with economic inequality. At the Local Fix we see these issues as critical to discussions about the future of local news, and they have not always gotten the spotlight they deserve. Each of the articles below help move forward the conversation – how will you pick up the debate and bring it into your newsrooms and your community? In a report released last month, Jesse Holcomb takes a look at how local news is adapting to the digital age. “For many publishers, the internet is like an ill-fitting suit: functional, but not made for them,” writes Holcomb, “About one in ten local news outlets do not have a website.” So many of the debates about the future of news — from AI to blockchain — focus on a future that seems out of mind and out of reach for some local journalists. Four years ago, Mark Stencel, Bill Adair, and Prashanth Kamalakanthan found in similar research that money and time paired with infrastructure and culture were some of the biggest barriers to local newsrooms adopting digital reporting tools and practices. These points are echoed over and over again in reports from the Local Media Association, Reuters Institute for the Study of Journalism, and others. In terms of how people are responding to these trends, organizations such asOpenNews and ONA are supporting local innovators across the country, and the solutions-oriented Table Stakes project is worth checking out. Thankfully, a number of the reports below highlight what’s working as well as what is not. Newspapers across the country celebrated the 78th annual National Newspaper Week, sponsored by the Newspaper Association Managers, a coalition of North American trade associations that serve the newspaper industry. Many newspapers and journalists used the occasion to share a look behind-the-scenes, and to take a step back and talk about why journalism is important for local communities. We especially appreciated those that, rather than lecturing people on why journalism is important, took the time to thank their readers and communities and open up conversations with the people they serve. Below we’ve shared just a few of the articles published this week.